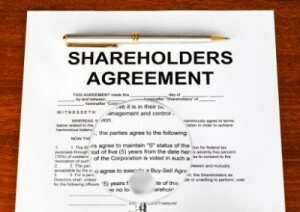 A shareholder agreement is a fundamental legal document, and although the specific terms and conditions of a shareholder agreement may differ, the fundamental principles of any shareholder’s agreement is to facilitate a fair and profitable relationship between minority shareholders, majority shareholders and the company itself. By having such an agreement in place, shareholders and company executives are equipped with a clear and concise code of conduct which can be followed should any disputes arise in the future. Implementing a shareholder’s agreement can also serve as a cost-effective and highly efficient method of limiting the likelihood of disputes in the long term. This is due to the fact that a shareholder’s agreement can be arranged to include clauses which detail the process for resolving disputes among majority shareholders, minority shareholders and shareholders of equal standing. Agreeing upon these dispute resolution processes in advance can prevent costly legal mediations in the future which could jeopardise both the reputation and the profitability of the company in question. As business website Investopedia aptly states, shareholder agreements allow “shareholders to make decisions about what outside parties may become future shareholders and provides safeguards for minority positions.”. Ultimately, these benefits demonstrate that shareholder agreements can prove to be extremely effective in protecting the financial interests of both minority and majority shareholders. Of course, if you are thinking about drafting up a shareholder agreement then it is always worthwhile to seek the advice of a qualified professional so as not to make any errors in the drafting which could prove problematic at a later date. How does business liquidation work?